The sold out screening of ‘Highway of Tears’ on March 7th at the VanCity Theatre marks the official launch of our grass roots release in Canada. 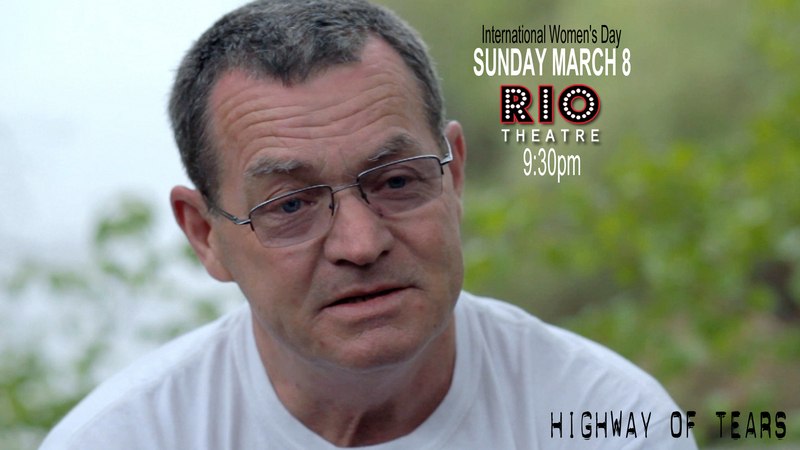 By demand, we’ve added a special screening on Sunday March 8th (International Women’s Day) at 9:30pm (Rio Theatre, Vancouver). ‘Highway of Tears’ is narrated by Canadian-born actor Nathan Fillion, who plays the title role in the TV series “Castle”. It is produced by Vancouver producer/actress, Carly Pope. We will be announcing special Q&A guests very shortly. Previous Post"HIGHWAY OF TEARS" Screening schedule.